Hello! I'm in Guatemala giving seminars on trauma release and I'd love to share some of the gorgeous marvels of this experience with you! Guatemala is absolutely stunning! 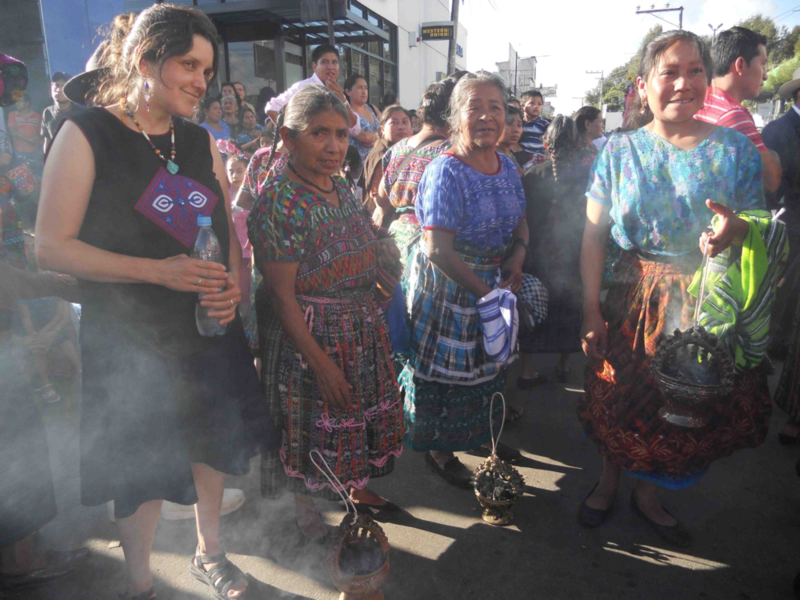 Here is a picture of me in Chimaltenango at the Fesitval de Santiago, with the frankincense-bearing elders last week! I'll send more images and info soon.